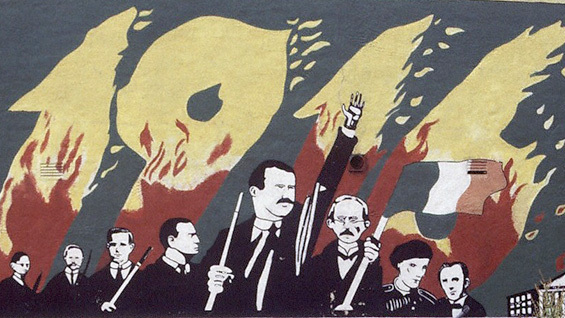 A free, public two-day event at The Cooper Union in honor of the 100th anniversary of the Easter Rising in Ireland examines that country’s history and future. The first evening will look at the cause of labor and James Connolly’s legacy in the American and Irish labor movements. Connelly, an Irish leader who once spoke in The Great Hall, was executed for his role in the Easter Rising. The second evening considers Ireland’s past, present and future and the case for Irish unity. Gerry Adams TD, president of Sinn Féin (at left), will speak. Note: RSVP is required. Send request to Marty Glennon at: lormsby@abgllaw.com or 631-777-6904. This event is co-presented by the Friends of Sinn Féin and The Cooper Union Department of Continuing Education and Public Programs.